About Hreyfill Taxi Service Iceland. Founded in 1943, Hreyfill Taxi is one of Iceland’s most respected taxi services. Besides providing comfort and convenient transportation around Reykjavik, Hreyfill also offers personalized guided tours for groups of up to eight people. 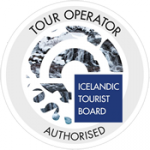 Tours include trips to and from the International Airport and sites throughout Iceland including Blue Lagoon, various gardens, thermal baths, hot springs, and areas along the south coast of Iceland.